Famous for her evocative landscape writing, the Shetland series was launched to critical acclaim in 2006 when the first book in the series, Raven Black, won the prestigious Book of the Year at the annual CWA Daggers awards. Since then it has gone on to inspire five series of BAFTA winning television, win fans across the world, and increase tourism in the Scottish archipelago. Wild Fire is an intense and emotionally complex novel highlighting the dichotomy between the claustrophobia of living in a close-knit community and needing to bury secrets and lies. 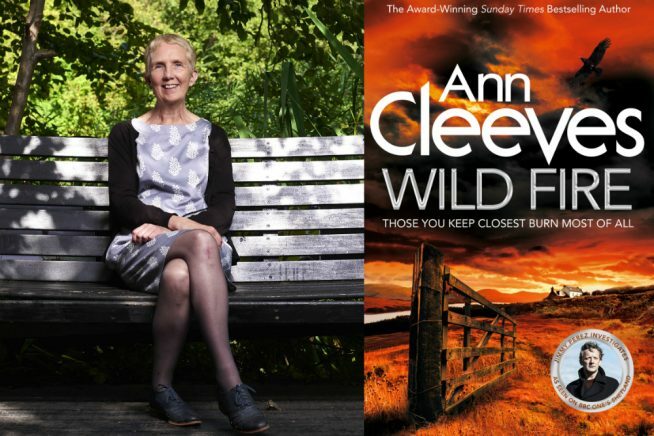 Envy, motherhood and family dynamics are powerful themes and Cleeves’ plot is cleverly woven tight making it a tricky case for both Jimmy and the reader to solve. Visit accessable.co.uk for all disability and access information about Witham Library.